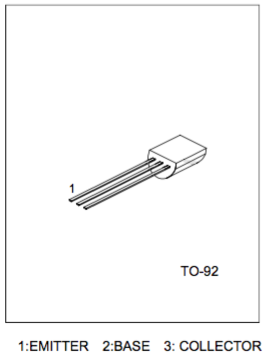 The UTC S8550 is a low voltage high current small signal PNP transistor, designed for Class B push-pull audio amplifier and general purpose applications. This entry was posted on Friday, April 29th, 2016 at 11:42 am and is filed under Arduino / Freeduino. You can follow any responses to this entry through the RSS 2.0 feed. You can leave a response, or trackback from your own site.